This past week things certainly picked up in the Legislature as far as discussions go. The three items that seem to be garnering the most attention include how to handle the “windfall” tax amount Kansas will be getting due to the changes in the Federal Tax Code, whether sports gambling should be legalized in Kansas and how to deal with the KPERS deficit created by former Governor Brownback and his ultra-conservative supporters in the Legislature. SB 22 was passed through the Senate Select Committee on Federal Tax Code Implementation. The bill deals with the so-called “windfall” due to the changes in federal tax policy. • We don’t even know that we will have a windfall. Taxpayers have just begun to file their taxes. We certainly don’t know how much or how little that windfall may be should it come. • We are finally stabilizing our state budget and getting back on a fiscally stable path. We should not be resetting the tax structure just as the state is getting back on solid ground. • SB 22 is incredibly similar to the reckless Brownback tax experiment. It would allow large multinational corporations to avoid paying taxes, destabilizing the state’s fragile economy. We are just beginning to recover; we cannot go back. If the Republicans have their way and return to a version of the Brownback economic plan that almost wrecked the Kansas economy, the cost to the state in fiscal years 2019 and 2020 would be in the neighborhood of $191,000,000 per year (estimated). These are the same large corporations that are already receiving a huge federal tax cut and many benefitted greatly from the Brownback “tax experiment”. We need to wait and see if – and how much – the actual so-called “windfall” is and make sure it benefits middle class Kansas families, not give corporate handouts. The state, under former Governor Brownback, consistently delayed or ignored the state’s payment obligations into KPERS (15 times over the last 9 years!). He and his supporters in the Legislature delayed or ignored the state’s obligations to KPERS in order to cover up general fund deficits that were caused by financial mismanagement and a “tax experiment” that was a total disaster. Even the Republicans in the Legislature realized the damage the Brownback “tax experiment” was causing and voted with all the Democrats to do away with the Brownback “tax experiment” in 2017. Unfortunately, enough damage was done that it will take years to get Kansas back on a totally solid financial foundation. There are several plans being presented to deal with the KPERS situation and no decision has been made at this point as to which plan is the most effective and sustainable. Governor Kelly has presented a very promising refinancing plan that would get KPERS back on a completely solid footing over a thirty year period, stabilize the state’s payment schedule into KPERS and free up money now that can be used to address issues concerning constitutional school finance, Medicaid expansion, a stable and sustainable economy and rebuilding our crumbling infrastructure. There is ONE point that must be stressed as this issue makes its way through the Legislature. • There will be NO cuts and NO impact on monthly payments for present and future KPERS recipients. KPERS is solvent and completely able to meet its obligations to retirees. 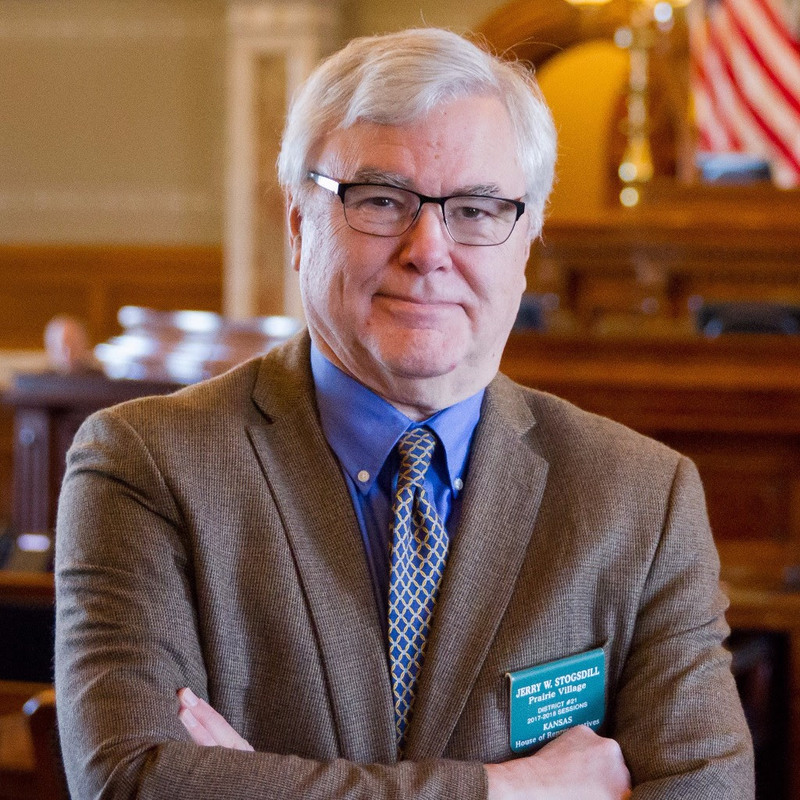 The issue is how to best structure the state’s financial obligations to KPERS in order to fully support KPERS while making sure Kansas tax dollars are being used in the most financially responsible way possible. Due to the relaxation of gambling laws at the federal level, every state is now looking at the feasibility of allowing betting on sports in their state. Kansas is also considering this issue and at least two bills are being brought forward that deal with this topic. This discussion is in the very earliest stage and I will keep you apprised when more information becomes available. I requested and was placed on the Federal and State Affairs Committee, Education Committee and Taxation Committee during this session of the Legislature. All of the issues listed above will be a part of the discussion and decision making process in my three committees. In light of this I should be able to keep you quickly informed as these important and complicated issues are addressed during the session. As always, if you have any questions or suggestions for me please do not hesitate to get in touch. I very much appreciate suggestions from my constituents and want to address any questions you may have. Thanks again for allowing me the privilege and the pleasure of representing your interests in Topeka. I do not take that responsibility lightly and I will work my hardest to do what is best for our District and for the state of Kansas.